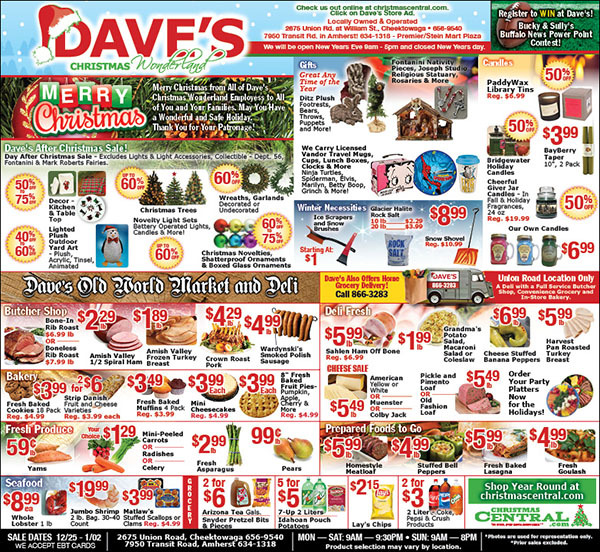 Buffalo News Ad for Dave's Christmas Wonderland. I designed the ad for 2 years and supervised a designer that designed it for 3 years prior to that. Also designed the Merry Christmas logo for this ad.